WWE superstar Mike 'The Miz' Mizanin and his wife Maryse have welcomed their first daughter into the world, and have named their baby girl Monroe Sky. 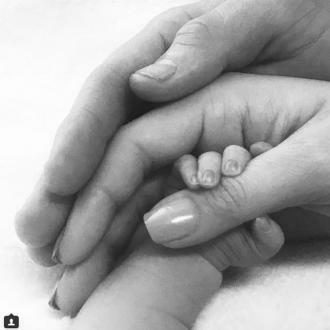 Mike 'The Miz' Mizanin and his wife Maryse have become parents for the first time. The WWE superstar couple welcomed baby girl Monroe Sky into the world on Tuesday (28.03.18), with the current Intercontinental Champion making the touching announcement on social media. His wife Maryse - who will star with her man on upcoming reality show 'Miz and Mrs' - shared the same photo with an identical caption on her own profile. The 'Total Divas' pair - who were expecting their daughter to arrive in April - previously revealed news of Maryse's pregnancy during a Monday Night Raw broadcast in September last year. Miz said at the time: ''My wife and I have been thinking long and hard about how we wanted to announce this special news. ''We thought about it long and hard, and we thought there's no better place to announce it than the first place that we met, and that is here in WWE in front of all of you. The couple tied the knot in 2014, and the moment Maryse revealed the happy news of her pregnancy to Miz himself was aired as part of reality show 'Total Divas'.